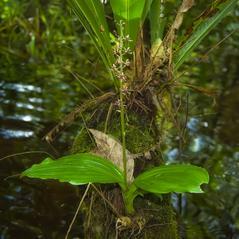 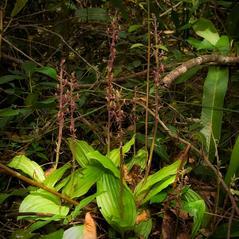 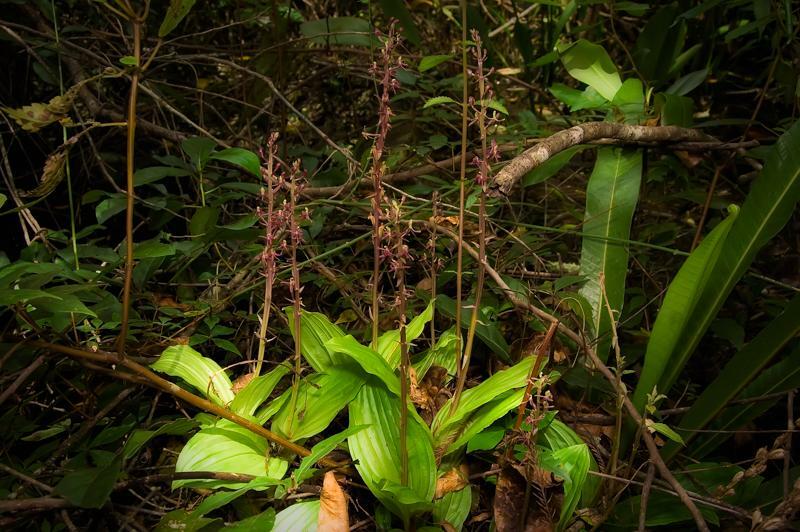 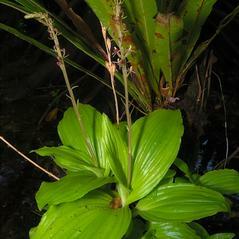 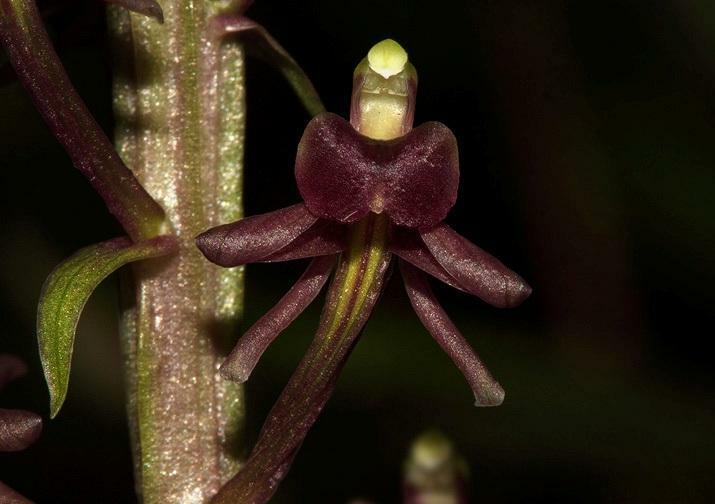 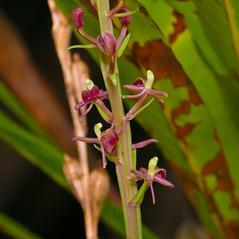 Liparis nervosa, commonly known as the Tall Twayblade, occurs in three counties in western Florida and extends into Mexico, the West Indies, Central America, and South America and may be the most widespread orchid in the world. 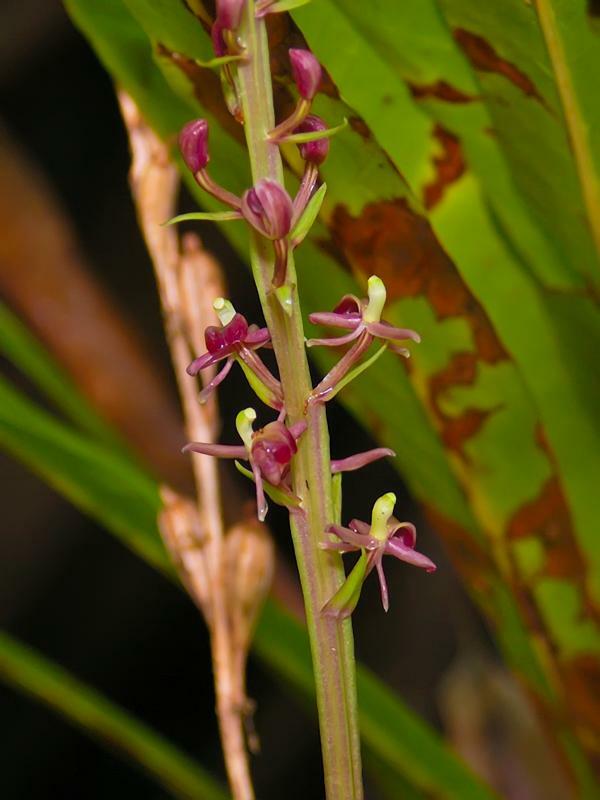 It produces 3-7 large light green plicate leaves and an inflorescence of 12-40 deep purple to rose colored flowers. 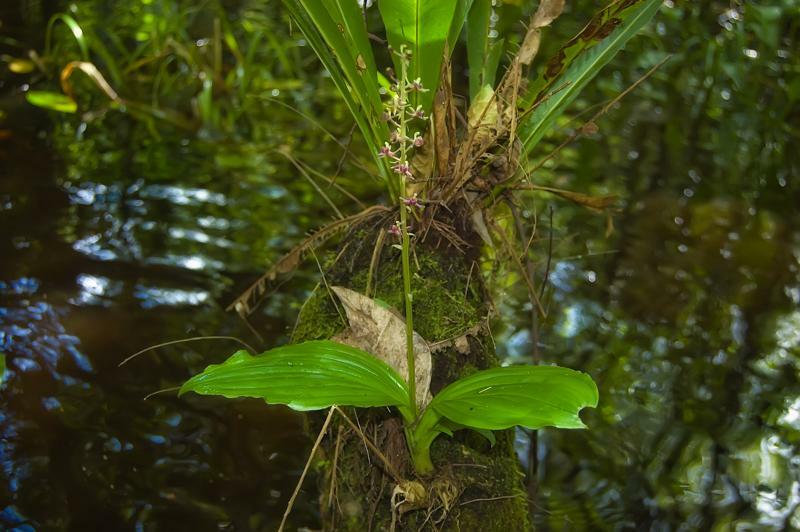 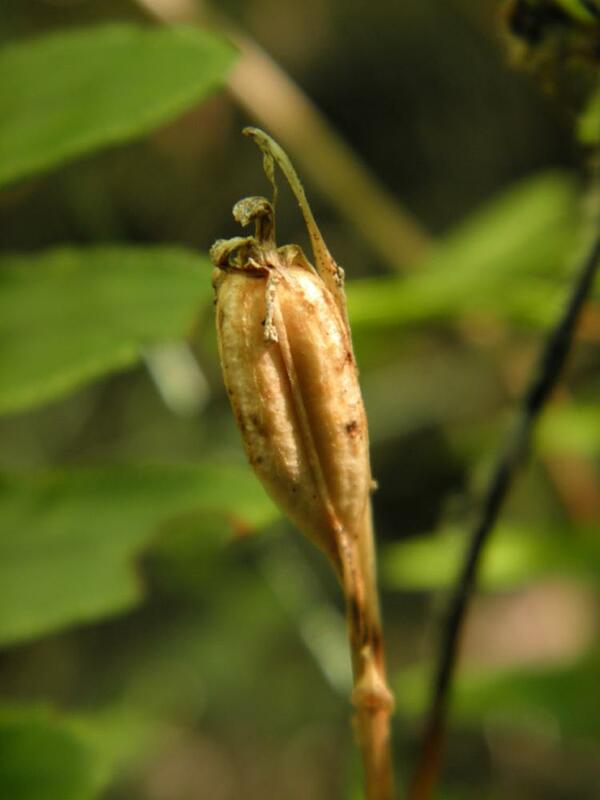 It blooms from July through November in damp hardwood hammocks and cypress swamps including the Fakahatchee Swamp. 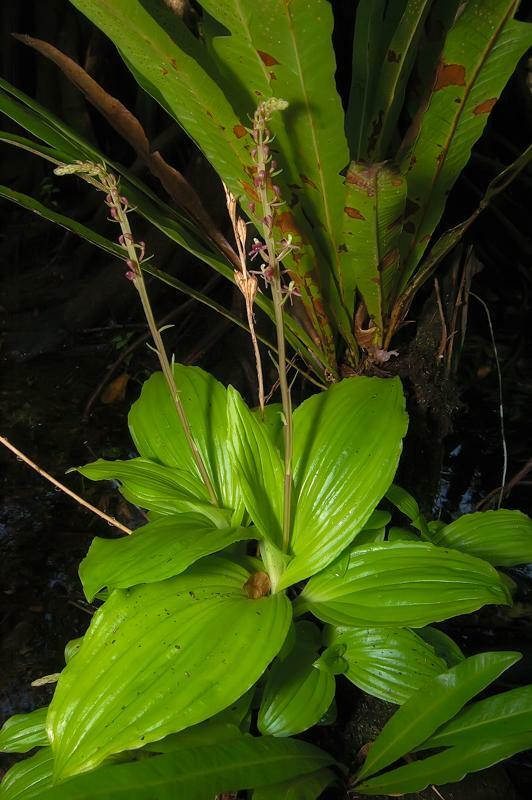 Liparis nervosa is apparently secure because it is widespread and common in the Caribbean and Central and South America but it is considered rare and endangered in Florida. 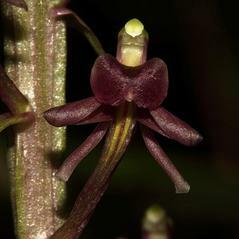 This orchid is thought to be fly, hemipteran and mosquito pollinated. 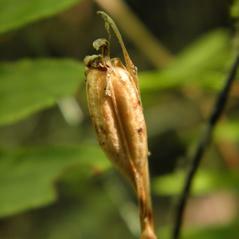 Rainfall may contribute to self-pollination by dislodging the anther cap or pollen.